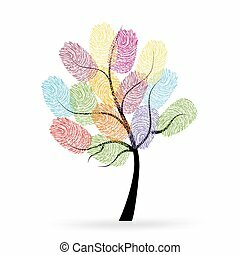 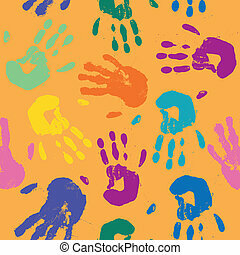 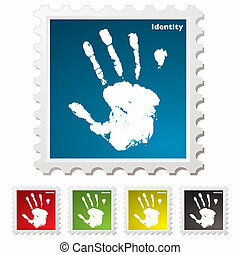 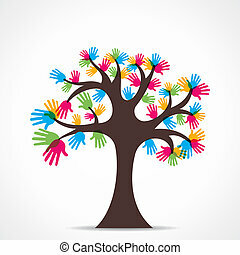 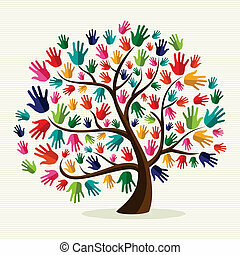 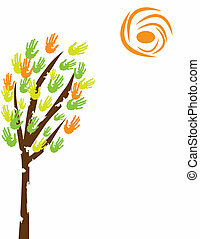 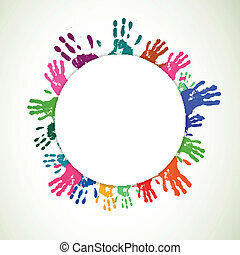 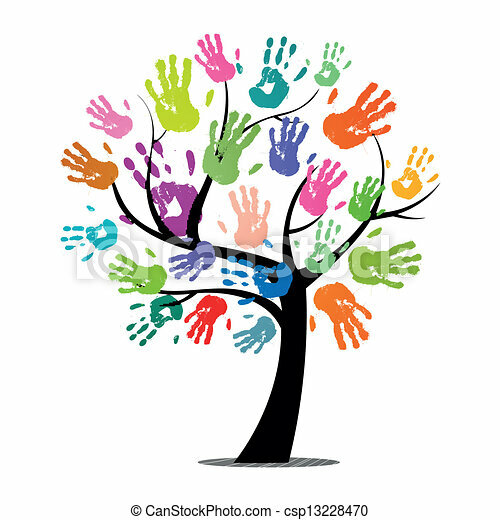 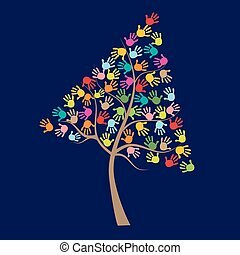 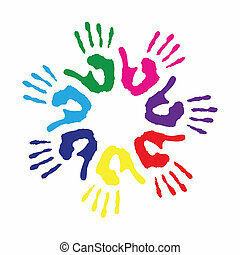 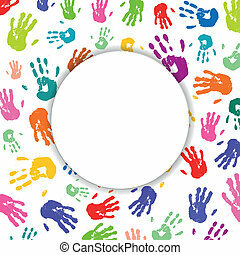 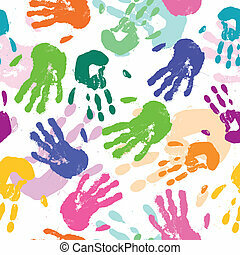 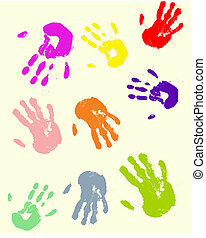 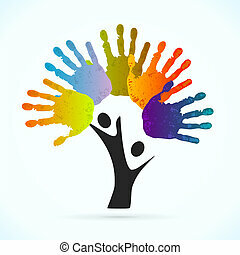 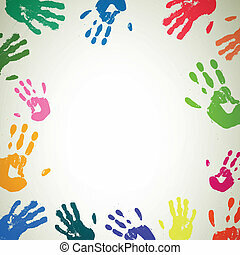 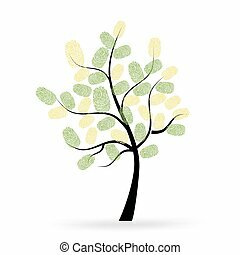 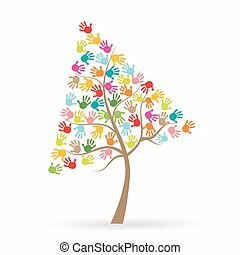 Vector tree with colorful hand prints. 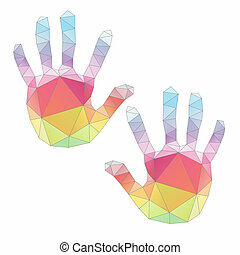 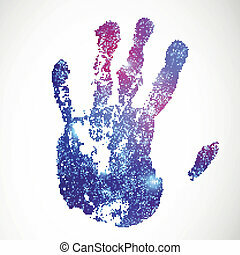 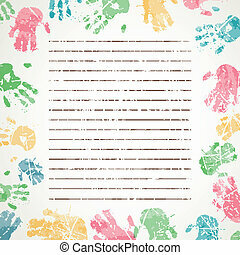 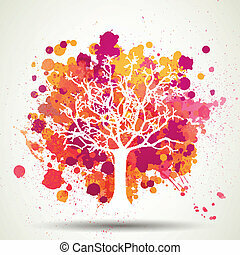 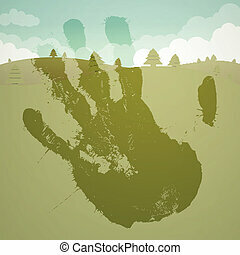 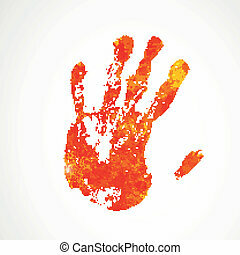 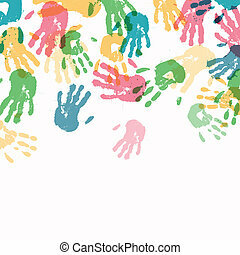 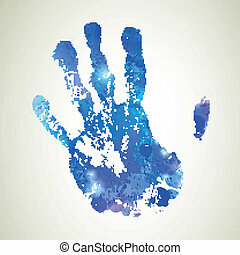 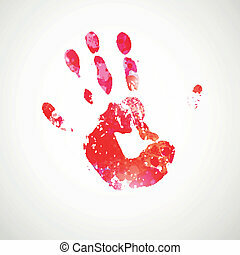 Vector illustration of an abstract tree with colorful hand prints. 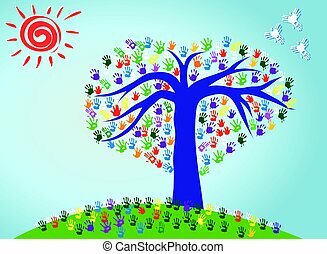 An Abstract heart Tree, Birds and Sun with Colorful Hand Prints on blue sky background , Vector Illustration layered for easily.